The adjustable foot foam, meet different height. Multi-functional adjustable flat bench,the weight bench with weights and bar set,dumbbell not include. Workout bench incline, Ideal dimensions for back support and leg drive during bench press. 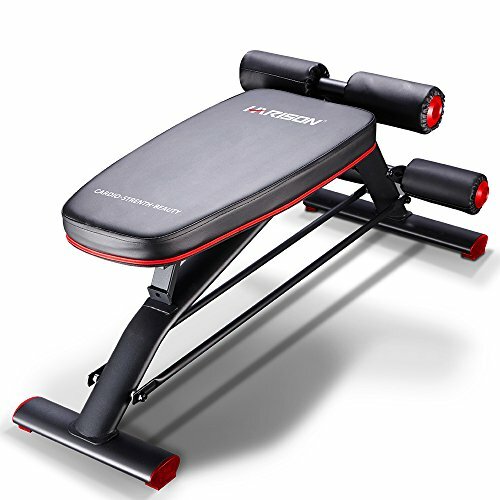 The weight training bench is thick, it`s easy to assemble and very solid. The weight lifting bench is comfortable to brace against, but you don't sink in. The gym bench is benefit to account for small variations in the flatness of your flooring surface.